Hi everyone! You are truly in for a treat today! 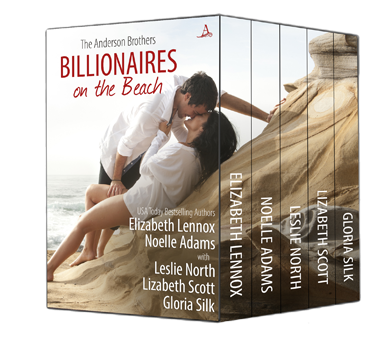 I am so very happy to announce a box set featuring the Anderson Brothers called Billionaires On The Beach, written by a collection of my favorite contemporary romance novelists, including Leslie North! How awesome is that! And on top of that, you can enter for a chance to in a 25 Dollar Amazon gift card. What is not to love! 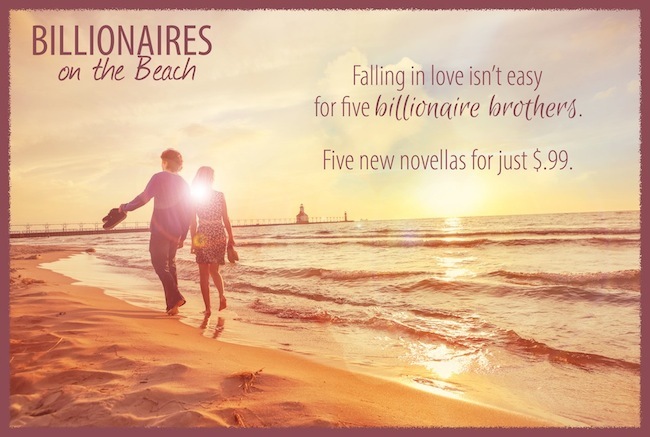 Elizabeth Lennox – Although she wanted to be a romance novelist since the eighth grade, that dream only became a paid reality for her in 2009 and a full-time job in 2012. Along the way, she received a BS in History and held different jobs in the real estate, government consulting, and financial industries. All during that time, though, she was always writing, using her personal experiences, dreams, and travels throughout the United States, Europe, and the Caribbean as backdrops for her stories. Elizabeth lives in Virginia with her husband and two children. Find her at elizabethlennox.com.